The photovoltaic industry is experiencing rapid change, with high-efficiency modules seizing market share and setting the stage for even higher efficiencies to come. Passivated emitter and rear cell (PERC) technology, and particularly the monocrystalline silicon version of PERC, is the hot adoption trend in 2017. Just two years ago, PERC cell capacity accounted for about 5 gigawatts of the market. But the drive for higher efficiencies in the world’s largest solar market, China, has turned the tables. PERC cell capacity is expected to reach about 35 gigawatts in 2017, or roughly one-third of all PV module production, according to GTM Research. PERC technology increases cell conversion efficiency by adding a dielectric passivation layer at the rear side of the cell that reduces surface recombination. 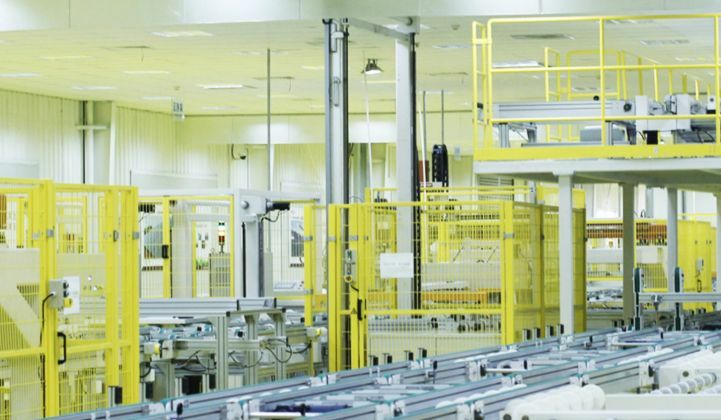 Manufacturers can cost-effectively increase efficiency beyond standard multi c-Si, building higher-wattage modules, and generating more power per square foot in a solar installation. Even better, LONGi solar and another Chinese enterprise broke the world record for p-type monocrystal PERC cell efficiency three times in 10 days during October, which undoubtedly shows the strength of this advanced technology. While PERC cells are gaining quickly, there is also a significant shift occurring in the marketplace itself, where mono c-Si cells are rapidly replacing multi c-Si cells. Mono will account for 70 percent of PERC module production in 2017, according to GTM Research. Mono isn’t just gaining ground in PERC cells. In conventional module production, mono will account for 38 percent of production in 2017, up from 25 percent in 2015. These market shifts are not only playing out in China -- driven by the promotion of high-efficiency solutions in the National Energy Administration’s Top Runner program -- but also globally. Multi c-Si modules have traditionally provided a cost advantage, but mono has tightened that gap while providing more wattage output per module. Superior low-light performance and better temperature coefficients improve energy yield, making mono and mono PERC particularly attractive to solar installers across the globe. One of the drivers of high-efficiency mono c-Si is LONGi Solar, the cell and module manufacturing subsidiary of LONGi Green Energy Technology Company. Since its inception, LONGi Green Energy Technology Company has had a laser focus on mono c-Si, emerging as the world’s largest mono wafer producer, according to GTM Research. After an extensive study of the market and the technology that began in 2006, LONGi committed to mono, determining that it had the greatest potential to realize the lowest levelized cost of electricity (LCOE), said Hongbin Fang, LONGi Solar’s director of technical marketing. “We are working to achieve high efficiency at a reasonable cost,” said Fang. Mono PERC delivers better energy yield than multi, and the company is continuously improving the cost of mono technology. “Before 2014, the price difference between mono and multi wafer was $0.30 to $0.40 USD per piece. Since late 2015, that gap has narrowed to $0.10 to $0.15 USD per piece,” Fang said. With a shrinking price gap between mono and multi wafers, and higher efficiency or power density from mono cells, mono modules are now able to offer a value proposition comparable or superior to multi modules. Using mono modules with higher power density can also drive down balance-of-system costs. Combined with higher energy yield, mono PERC can deliver a better levelized cost of energy (LCOE), Fang said. The fact that LONGi, a pure mono producer, could emerge as the top solar wafer producer overall is a strong indicator of mono’s emergence as a dominant technology. It is a fundamental shift in the technology landscape, where multi was king, and suppliers were previously relying on small efficiency improvements in multi, rather than looking toward the next generation of the technology. LONGi commits 5 to 7 percent of annual revenue to R&D on high-efficiency mono c-Si ingot, wafer, cell and module technology. After expanding into the solar cell and module business at the end of 2014, LONGi has become the performance leader in mono PERC technology. Currently, high-volume manufacturing cell efficiency is at 21.5 percent. Further, LONGi’s R&D pilot line efficiency has been verified at 23.26 percent by Solar PV Product Quality. LONGi’s mono module production capacity has increased to 6 gigawatts in 2017. Its manufacturing road map project will grow by 10 gigawatts in 2019, according to Fang. Having played a major role in the emergence of mono PERC, LONGi is setting its sights on bifacial technology. The company's bifacial platform has the potential to increase energy output by 8 to 25 percent, by enabling an energy harvest from the module’s rear side, according to Fang. Adapting a PERC cell for bifacial is straightforward, which means both manufacturers such as LONGi and their customers can easily make the transition. “Process-wise, it is a small change,” Fang said. Bifacial PERC inherits all of the advantage of mono PERC, including high power and higher energy yield. In addition, it can harvest energy from the rear side of module, making system economics even better. “Right now, we are in the product introduction phase, and we have already seen strong interest from customers," said Fang. If bifacial PERC modules can consistently demonstrate a 10 to 15 percent gain from the rear side, the market will react quickly and favorably. Adoption could be strong in both utility and C&I applications, he said. He expects utilities to run side-by-side comparisons to document energy yield, learning optimum system designs that will enhance confidence in the reliability and bankability of backside gains. Backside shading must be minimized, and system designs must be adapted to maximize rear-side energy harvesting, he said. GTM Research expects it will take a couple of years for bifacial to take off, even though many producers have started producing bifacial modules. In the short term, China is the most promising market given the government policies targeting adoption of higher-efficiency products. In the meantime, LONGi is poised for growth beyond its home market, and sees opportunities in nearly every large solar market across the globe. Even though none of those markets have preferential incentive programs for high-efficiency products like Top Runner in China, Fang said more developers and engineering, procurement and construction companies are coming to understand the cost savings and LCOE benefit of mono PERC. This will naturally extend to bifacial PERC technology.